Be Our Guest, Online Express! 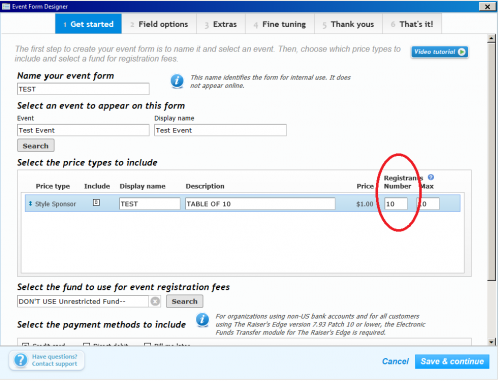 Community Member Cassondra Farris shows you why Online Express is the perfect host for event registration. Give this blog a "LIKE" to vote for it to win the bbcon blog contest! Everyone loves a good event unless you don’t have the right tools. Before OE we had to use different programs to register guests for our events, set up sponsors and even send thank you letters. 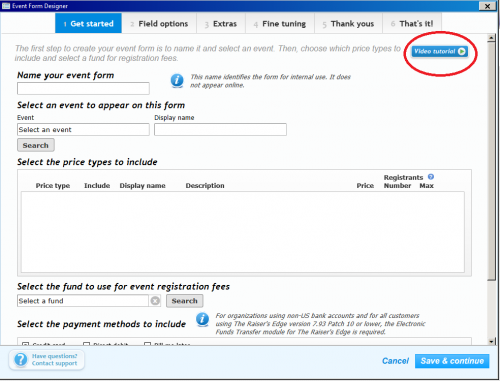 Using the easy-to-create OE event form, guests can do just that with a few clicks. One of the best things is allowing organizations who are buying a table register all of the attendees and provide us with those guests’ contact information. Don’t know how to create the form? Let me show you! 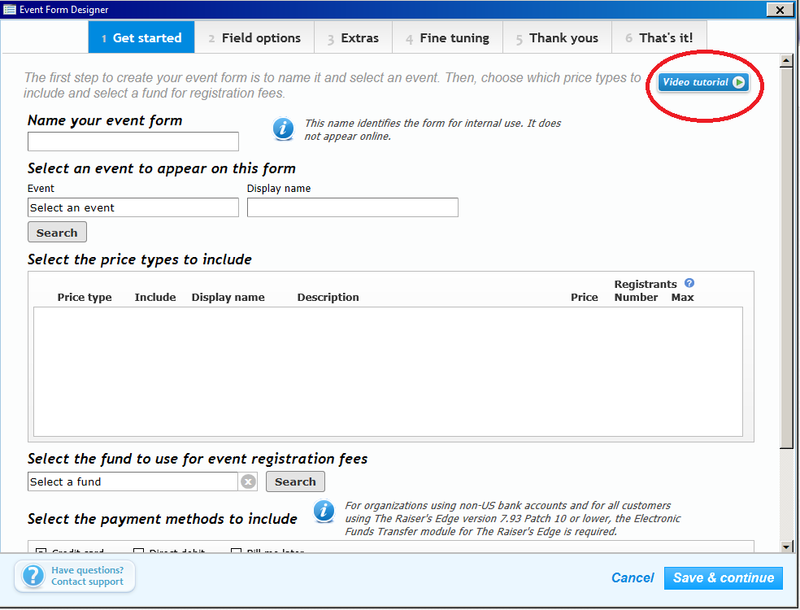 Head over to OE and click the Events button, then create a form. Then just follow the simple step-by-step instructions. Need more help? Yes indeed, they aim to please! OE has built-in videos to help you out. 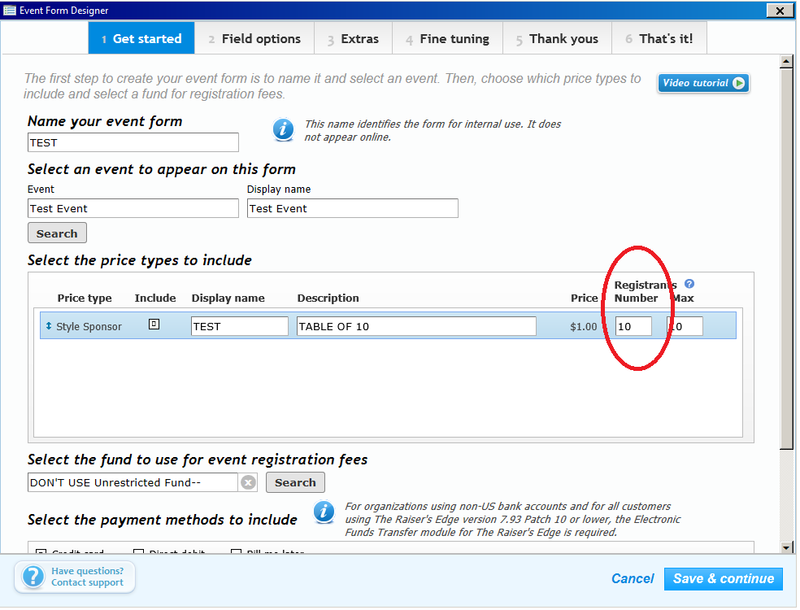 By changing the number of registrants on the Get Started tab, you give the option to register all guests. On the That’s It! tab, you will be given a code so you can upload your work to your website. By using OE, we can pull a quick report from Raisers Edge with the info of those attending our event, keep track of tables purchased, sponsors and make sure to thank everyone who came. So please, Be Our Guest and try Online Express. Good luck, Cassondra Farris‍ ! Super helpful! Thank you so much! Keep 'em coming. Thanks so much, Cassondra Farris! Very informative! I will be sharing this with my employer!